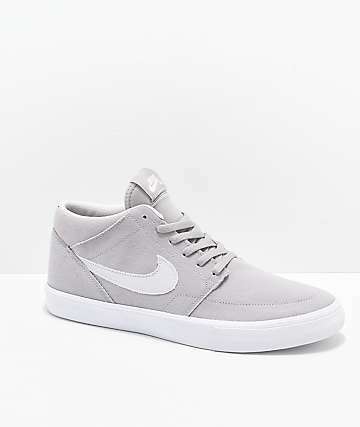 The Nike Portmore review is in and this Nike SB shoe gets a 9/10. 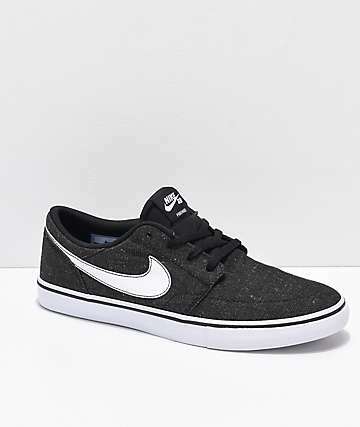 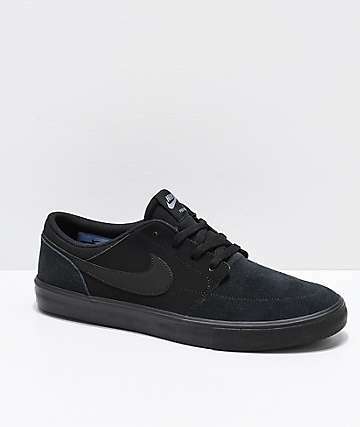 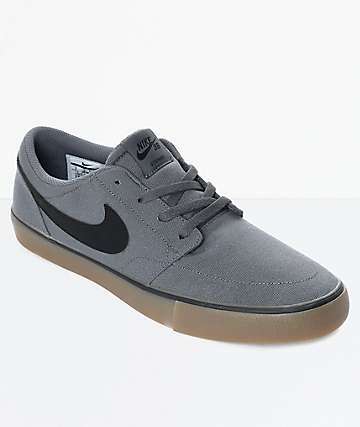 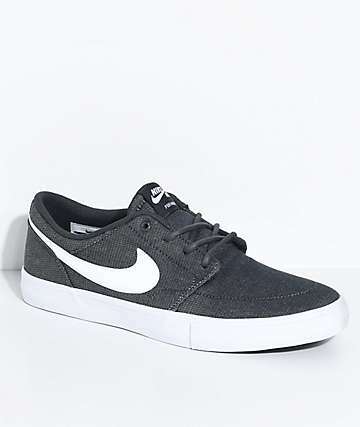 Here's what people are saying: this skate shoe is a great alternative to the Nike SB Stephen Janoski because it has about the same fit and look but on average the Portmore can cost about $40 less. 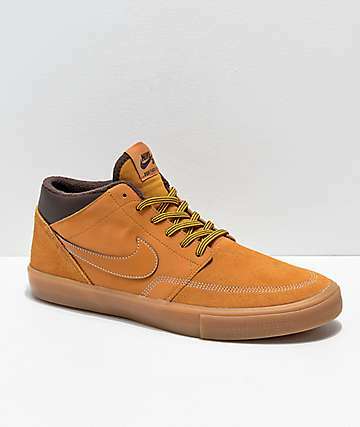 The low cut ankle is perfect for Spring and Summer, and the padded collar makes it comfortable to wear all day long. 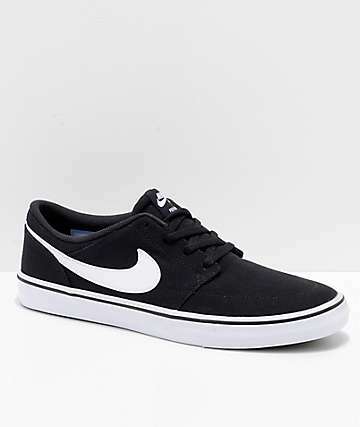 The Nike Swoosh on the Portmore is small even to be indentified as a Nike shoe from 20 feet but doesn't make you look like a walking advertisement. 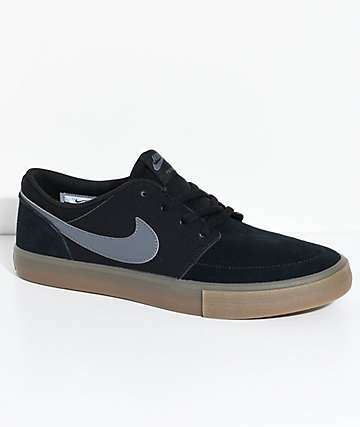 The Portmore shoe upper has a deconstructed look made of canvas so they are going to wear faster than your typical leather skate shoe, but provide you with more flexibility and allow you to be lighter on your feet.